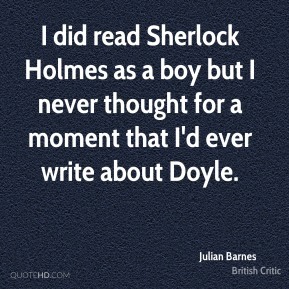 I did read Sherlock Holmes as a boy but I never thought for a moment that I'd ever write about Doyle. 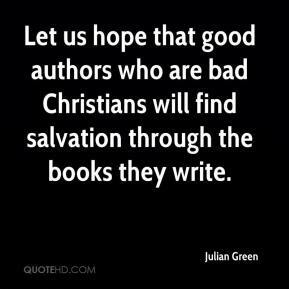 Let us hope that good authors who are bad Christians will find salvation through the books they write. 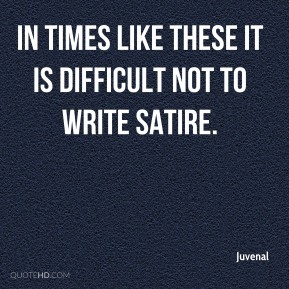 In times like these it is difficult not to write satire. 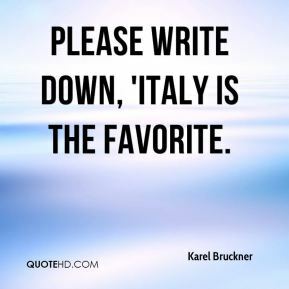 Please write down, 'Italy is the favorite. We had to write character sketches. I was so intimidated. It's women writing about all kinds of things. They write their memoirs and life stories; some women write poetry. 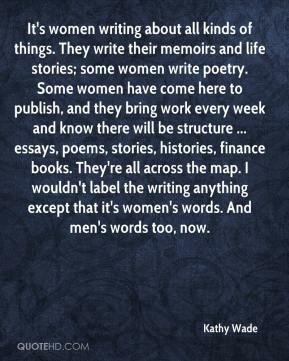 Some women have come here to publish, and they bring work every week and know there will be structure ... essays, poems, stories, histories, finance books. They're all across the map. I wouldn't label the writing anything except that it's women's words. 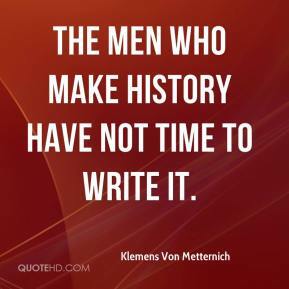 And men's words too, now. 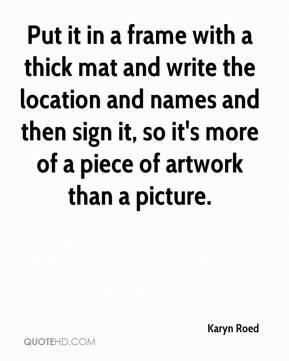 Put it in a frame with a thick mat and write the location and names and then sign it, so it's more of a piece of artwork than a picture. 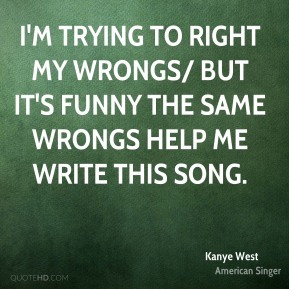 I'm trying to right my wrongs/ But it's funny the same wrongs help me write this song. I want my words to survive translation. I know when I write a book now I will have to go and spend three days being intensely interrogated by journalists in Denmark or wherever. 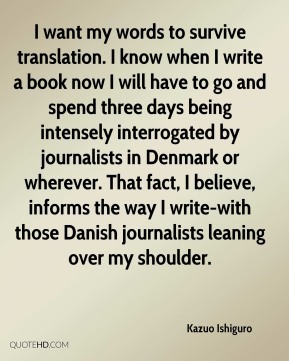 That fact, I believe, informs the way I write-with those Danish journalists leaning over my shoulder. 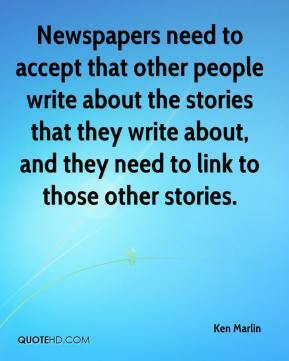 Newspapers need to accept that other people write about the stories that they write about, and they need to link to those other stories. It started as a joke. 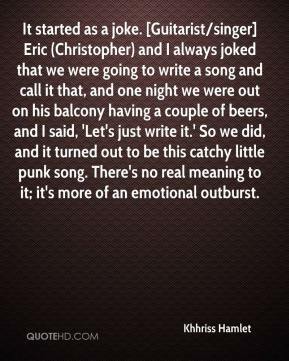 [Guitarist/singer] Eric (Christopher) and I always joked that we were going to write a song and call it that, and one night we were out on his balcony having a couple of beers, and I said, 'Let's just write it.' So we did, and it turned out to be this catchy little punk song. There's no real meaning to it; it's more of an emotional outburst. 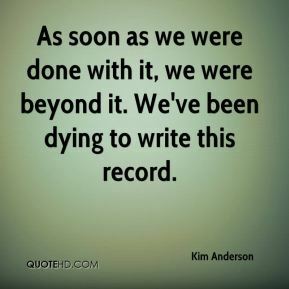 As soon as we were done with it, we were beyond it. We've been dying to write this record. 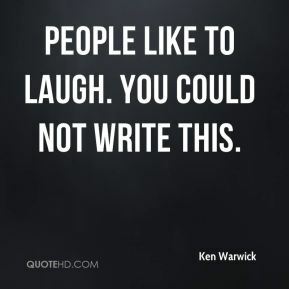 People like to laugh. You could not write this. 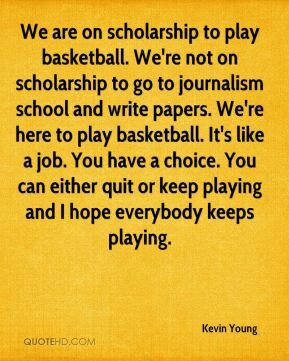 We are on scholarship to play basketball. We're not on scholarship to go to journalism school and write papers. We're here to play basketball. It's like a job. You have a choice. You can either quit or keep playing and I hope everybody keeps playing. 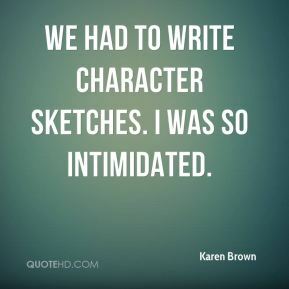 I saw a way that I could write fiction about my own experience and things that I've done and imagined. 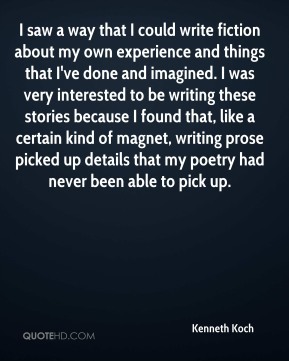 I was very interested to be writing these stories because I found that, like a certain kind of magnet, writing prose picked up details that my poetry had never been able to pick up. 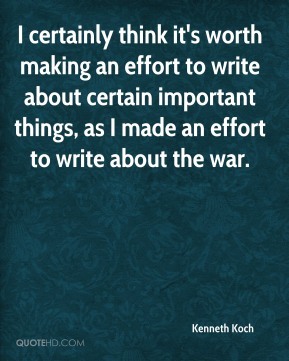 I certainly think it's worth making an effort to write about certain important things, as I made an effort to write about the war. 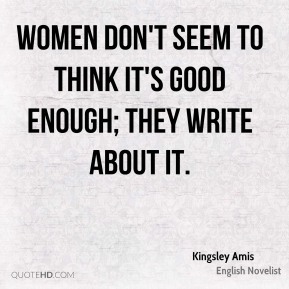 Women don't seem to think it's good enough; They write about it. It's not a problem. I don't know how many ways to say it. 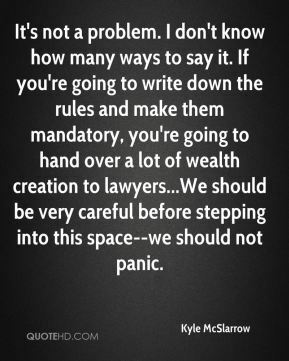 If you're going to write down the rules and make them mandatory, you're going to hand over a lot of wealth creation to lawyers...We should be very careful before stepping into this space--we should not panic. 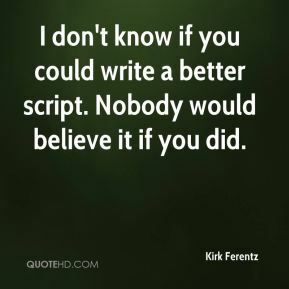 I don't know if you could write a better script. Nobody would believe it if you did. If I have a constituent who takes the time to sit down and write a letter, they deserve a response. 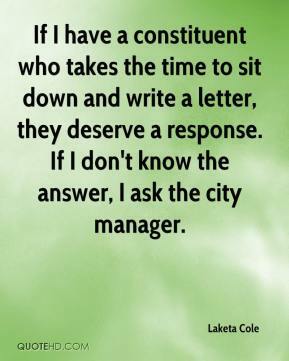 If I don't know the answer, I ask the city manager. I've always wanted to write. 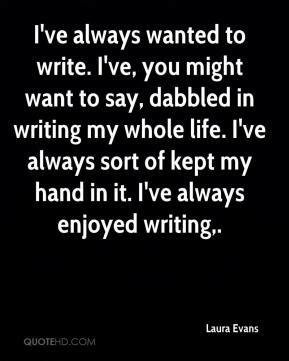 I've, you might want to say, dabbled in writing my whole life. I've always sort of kept my hand in it. 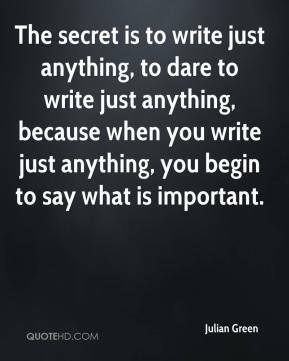 I've always enjoyed writing. The biggest part of it is editing. 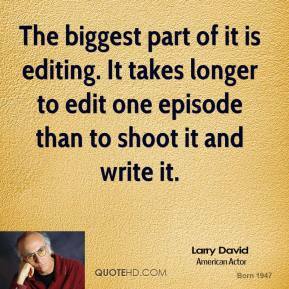 It takes longer to edit one episode than to shoot it and write it. 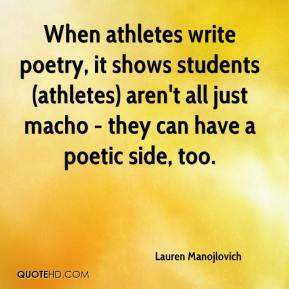 When athletes write poetry, it shows students (athletes) aren't all just macho - they can have a poetic side, too.